Sun., Nov. 18, 2018, 4 a.m.
Washington winemakers have chafed for years over the unequal treatment their bottles receive in grocery stores in British Columbia. Imported Washington wines can’t sit on the shelves next to B.C. wines. If Washington wines are sold in grocery stores, they have to be located in a “store within the store,” a requirement that physically separates imports from domestic wines and requires a separate checkout. The proposed U.S.-Mexico-Canada Trade Agreement would end that practice by November 2019, giving equal treatment to wines from Washington and other states on the grocery aisle. Grocery store receipts account for a large percentage of retail wine sales, so it’s a potentially significant change, McDonald said. “If you are a Washington winery, you can sell into British Columbia through wine shops, restaurants and liquor stores,” McDonald said. But until recently, the Washington wine industry and its peers in California and Oregon couldn’t make headway on the grocery store issue, he said. The agreement allowing U.S. wines in B.C. grocery stores was outlined last month in a letter from U.S. Ambassador Robert Lighthizer to Canada’s foreign affairs minister. If the renegotiated trade deal is adopted and the grocery store change is enacted, the U.S. will drop a legal challenge to the practice pending before the World Trade Organization. B.C. winemakers aren’t concerned about giving imported wines the access to grocery store shelves, said Miles Prodan, the British Columbia Wine Institute’s president and executive director. “We already compete in over 1,300 liquor retail outlets across the province and enjoy great ‘buy local’ support,” he said. British Columbia’s government has been gradually relaxing its stance on alcohol sales in grocery stores, Prodan said. The government allowed B.C. wineries to transfer licenses for off-site sales of wine to grocery stories in 2014, which led to the current system treating B.C. wines and imports differently, he said. Canada is the No. 1 export market for Washington wines, representing about $10 million in annual sales. McDonald, the Washington Wine Institute director, said equal access to B.C. grocery store shelves is “a positive step in a series of steps” needed to allow for a competitive marketplace for imported wines in B.C. “Taxes, markups and fees (remain) a tremendous challenge for Washington wines going into British Columbia,” he said. Two bottles of Washington wine can be taken across the B.C. border duty free. But after the first two bottles, the owner of the wine is subject to taxes and fees that essentially double the cost, McDonald said. A $20 bottle of Washington wine, for instance, would end up costing $43 to $45, he said. “If you are a British Columbia resident and you really like wines from Woodinville and you want to bring a case home with you, the cost to do so is almost prohibitive,” McDonald said. In contrast, B.C. wines coming across the border into Washington face nominal taxes and fees, he said. L’Ecole No. 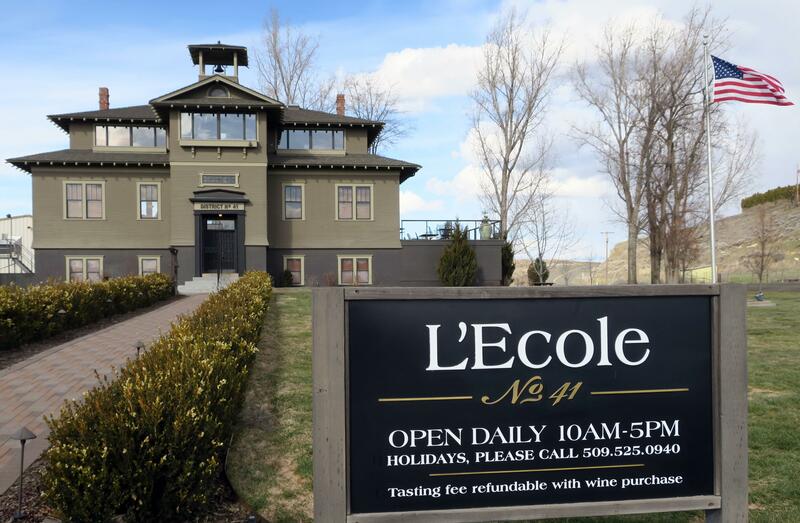 41, a Walla Walla Valley winery, sees the potential for increased sales in British Columbia if the high taxes and fees are addressed in the future, said Jeff Von Bargen, national sales representative. Seattle is L’Ecole No. 41’s largest market, and the Vancouver, B.C. metro area – with about 2.5 million residents – is just across the border. Published: Nov. 18, 2018, 4 a.m.